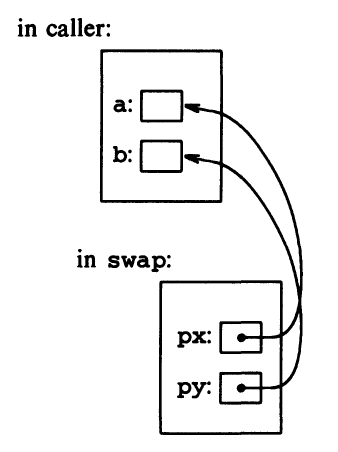 Because of call by value, swap can’t affect the arguments a and b in the routine that called it. The function above only swaps copies of a and b. Since the operator & produces the address of a variable, &a is a pointer to a. In swap itself, the parameters are declared to be pointers, and the operands are accessed indirectly through them. Pointer arguments enable a function to access and change objects in the function that called it.